Open: May-Sept weds 2-4pm & sat & sun 12-4pm. 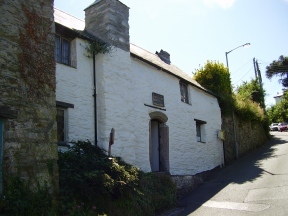 On a steep bank in the shadow of the Tamar Bridge is this pretty whitewashed vernacular building, dating from 1480. It was the childhood home of Mary Newman, Frances Drake's first wife. 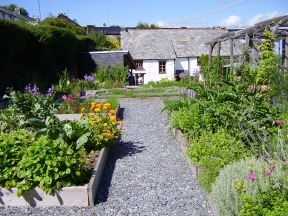 The small garden behind the house has been recently re-designed as an Elizabethan herb garden. 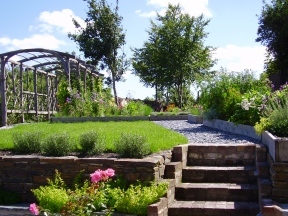 Find period vegetables, annuals, herbs, herbaceous plants and a grassy Viewing Mound. Not good access for wheelchairs/buggies.